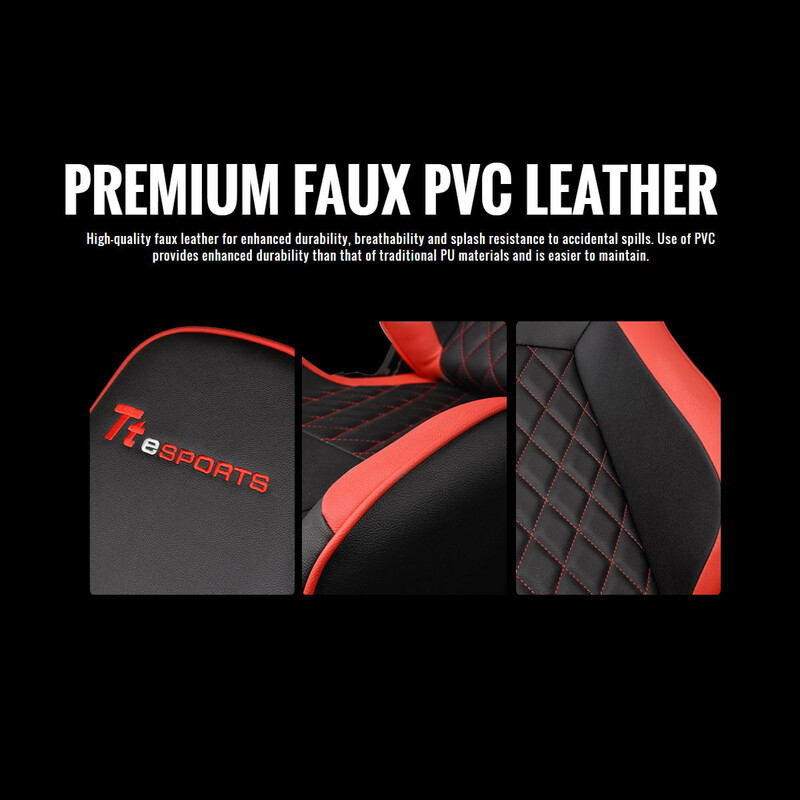 •Premium Faux PVC Leather - High-quality faux leather for enhanced durability, breathability and splash resistance in case of accidental spills. 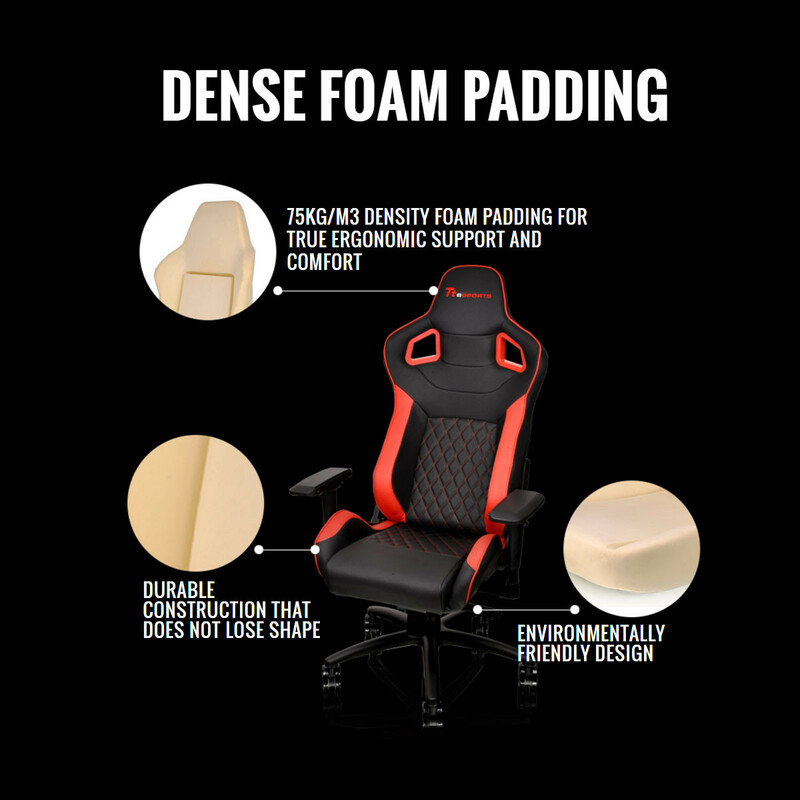 Use of PVC provides enhanced durability than that of traditional PU materials and is easier to mountain. 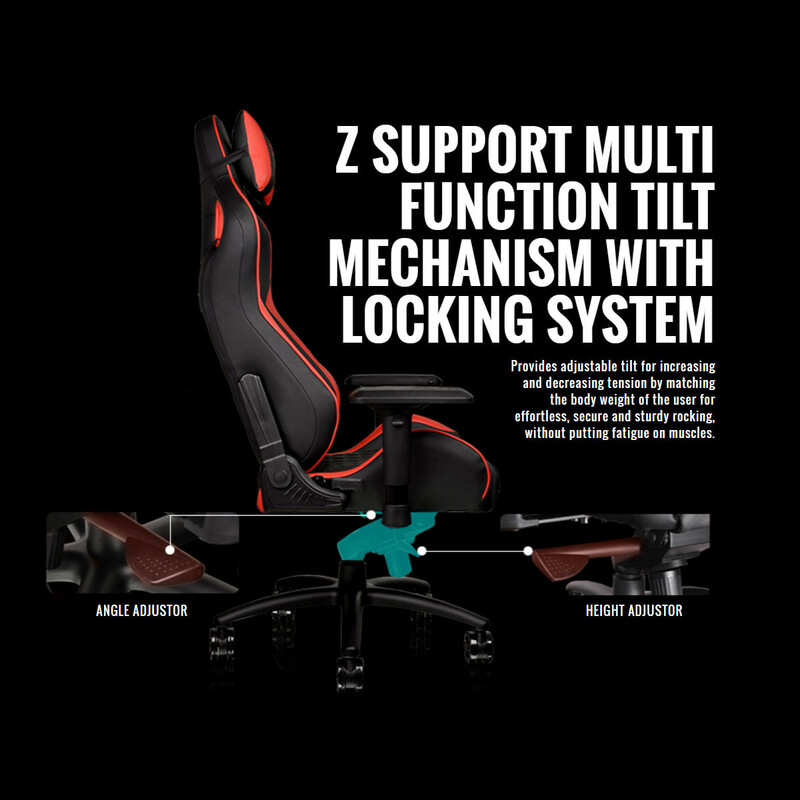 •Support Multi Function Tilt Mechanism With Locking System - Provides adjustable tilt for increasing and decreasing tension by matching the body weight of the user for effortless, secure and sturdy rocking, without putting fatigue on muscles. 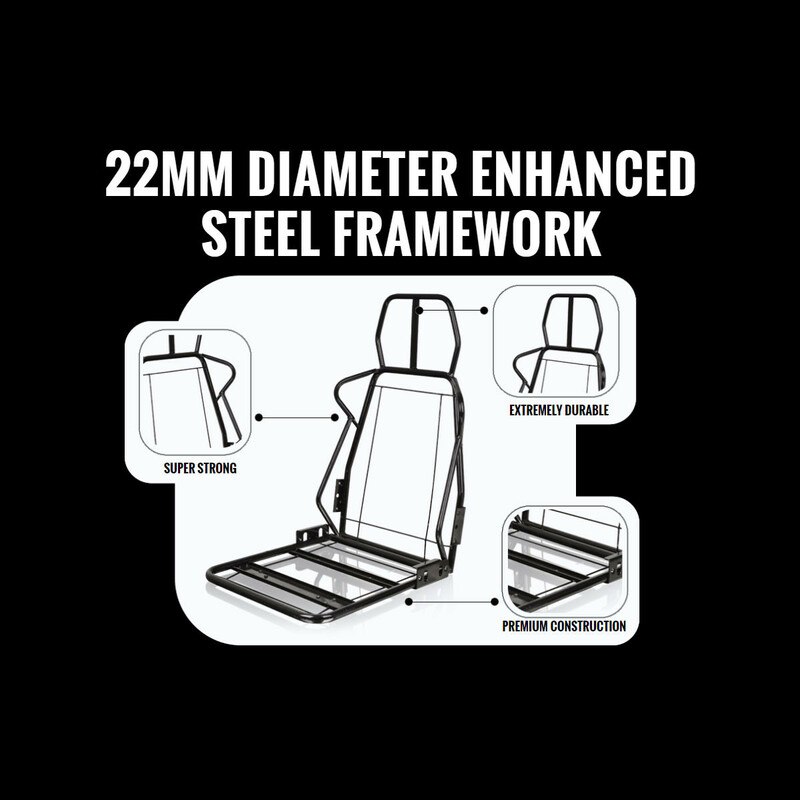 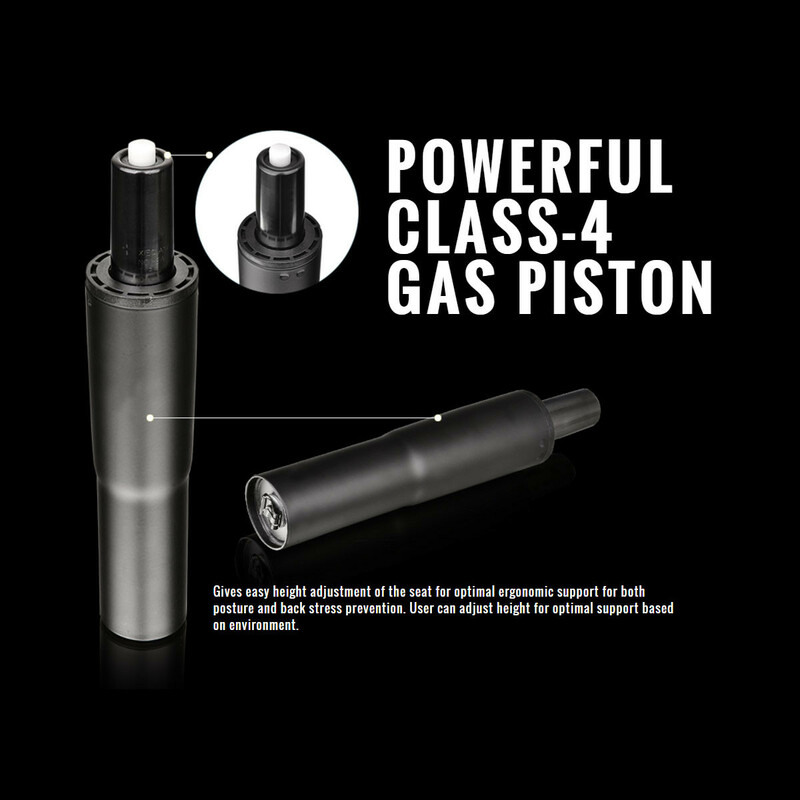 •22mm Diameter Enhanced Steel Framework - Super strong. 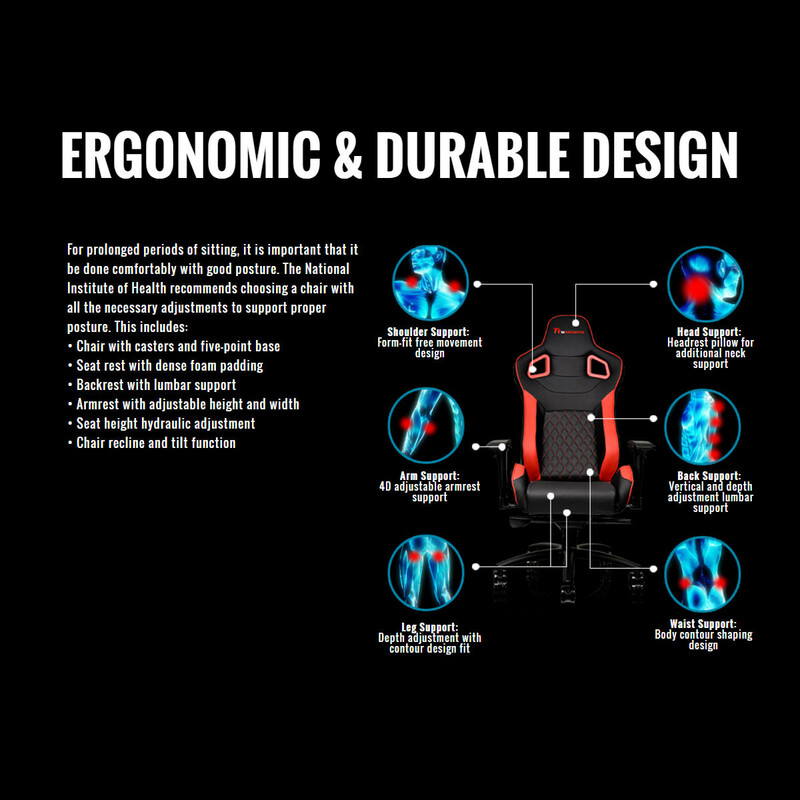 Extremely durable. 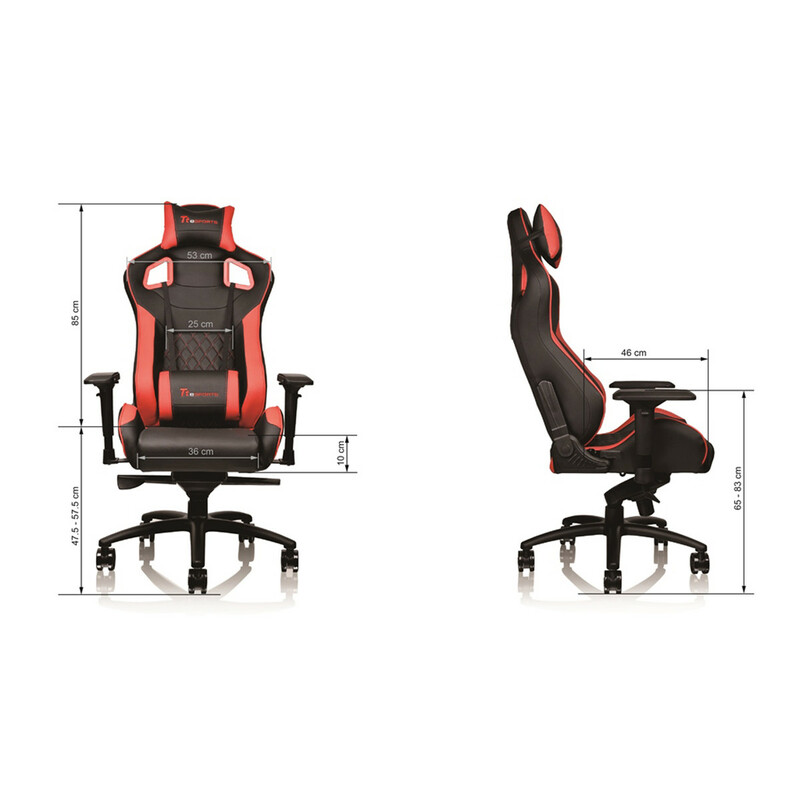 Premium construction. 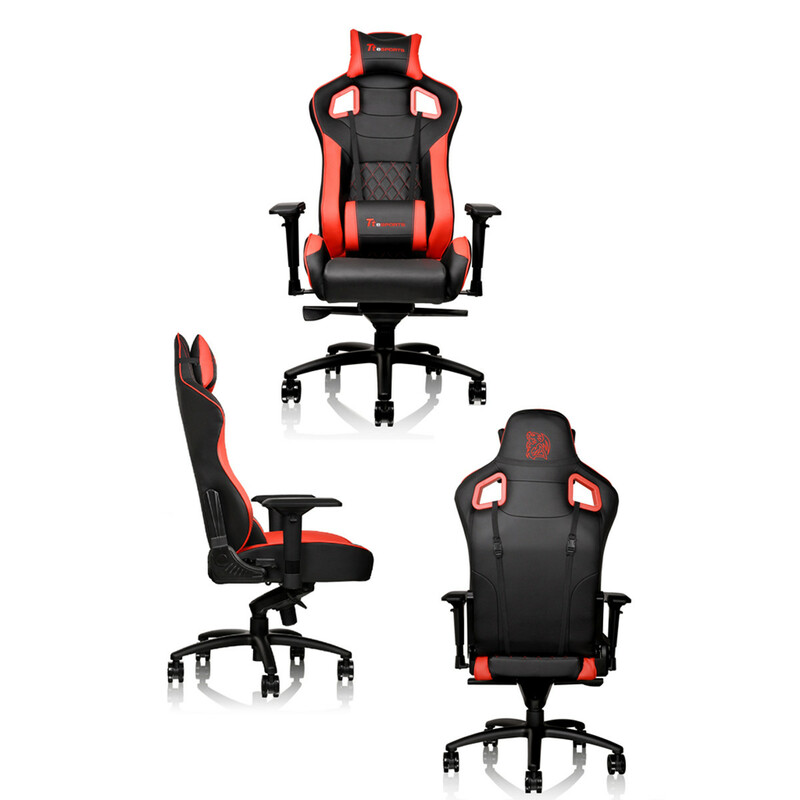 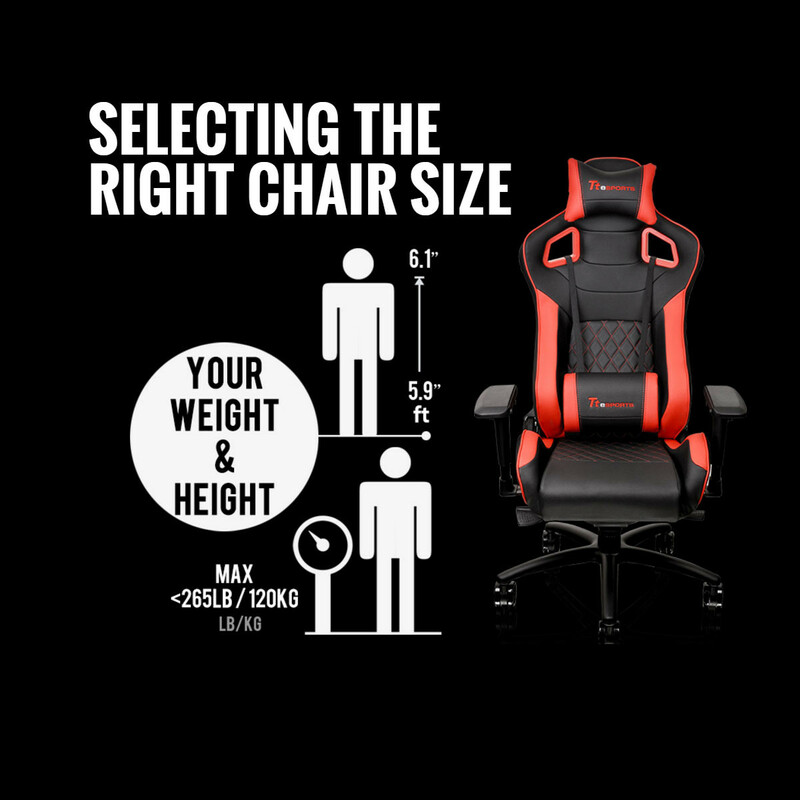 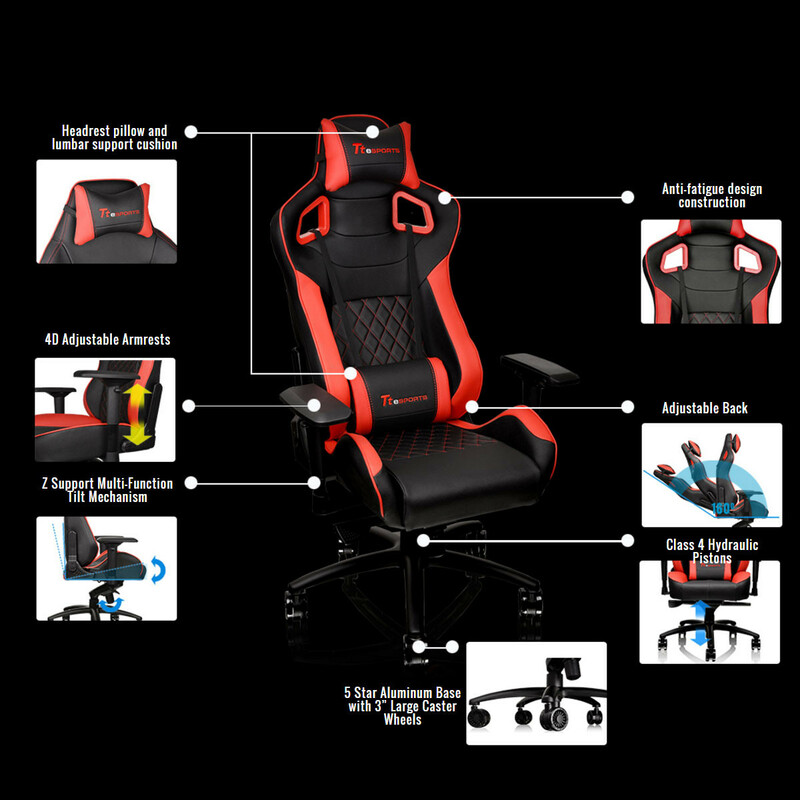 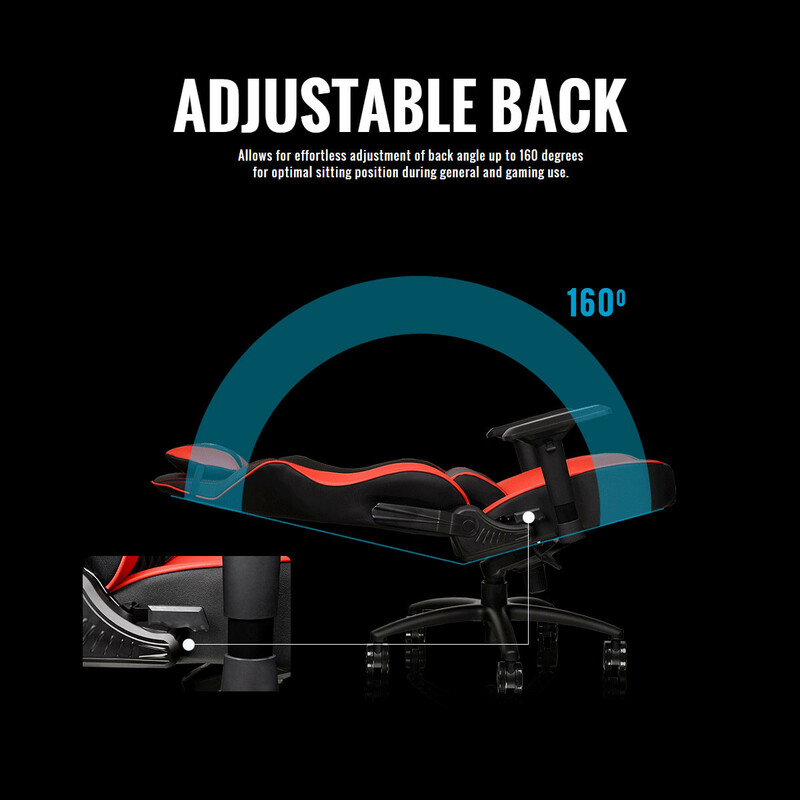 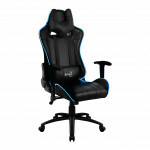 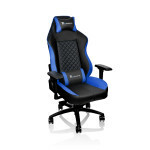 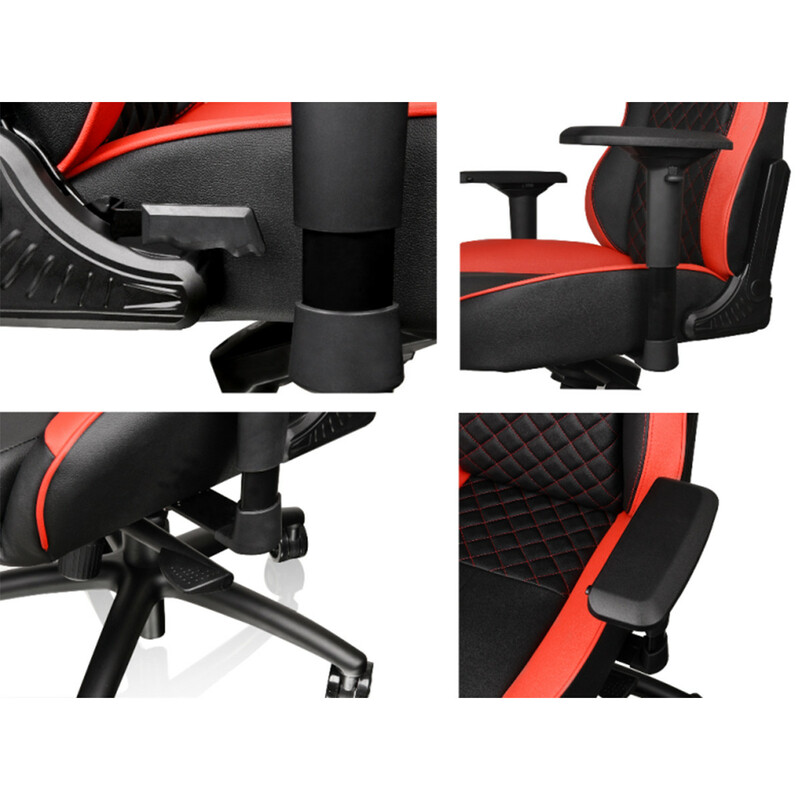 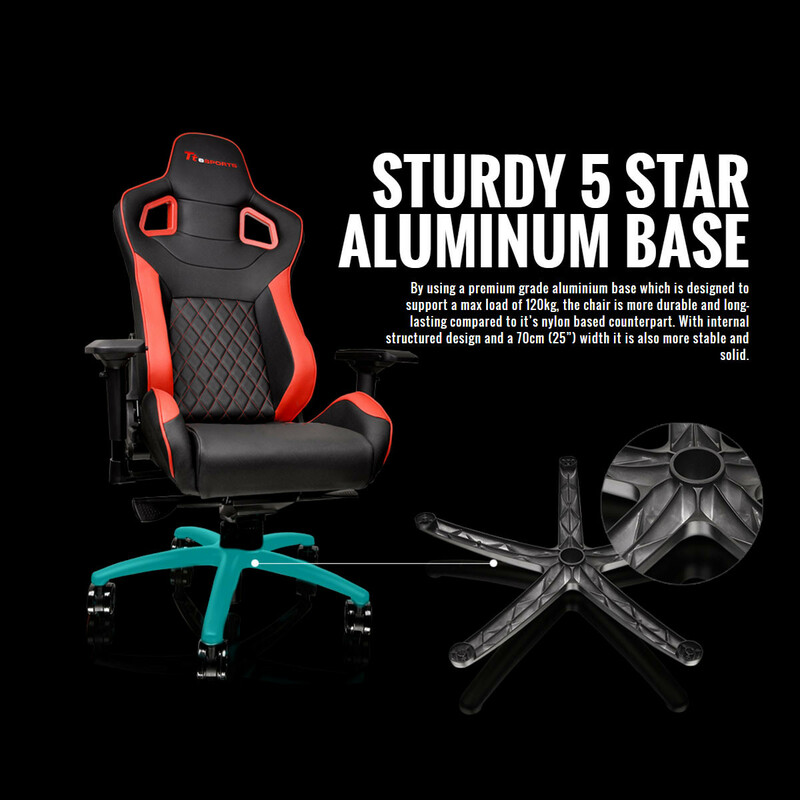 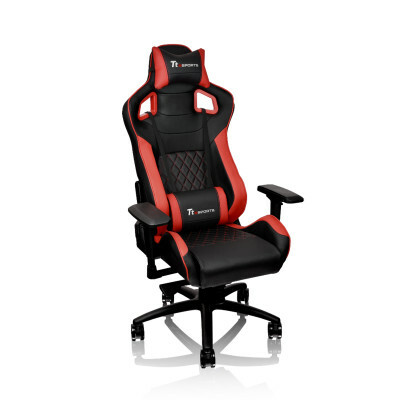 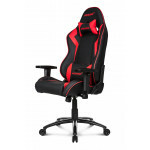 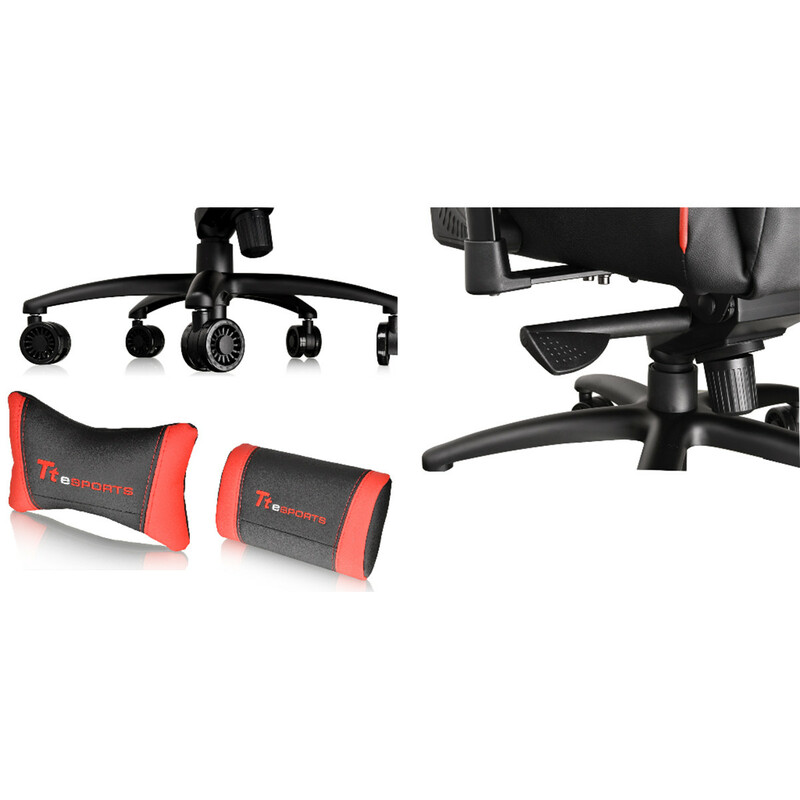 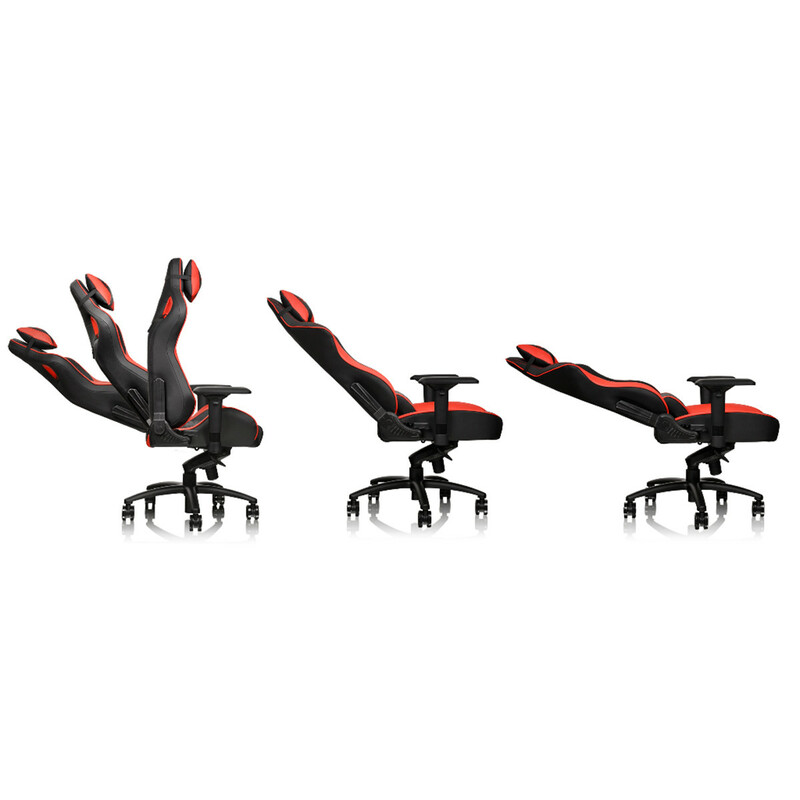 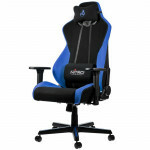 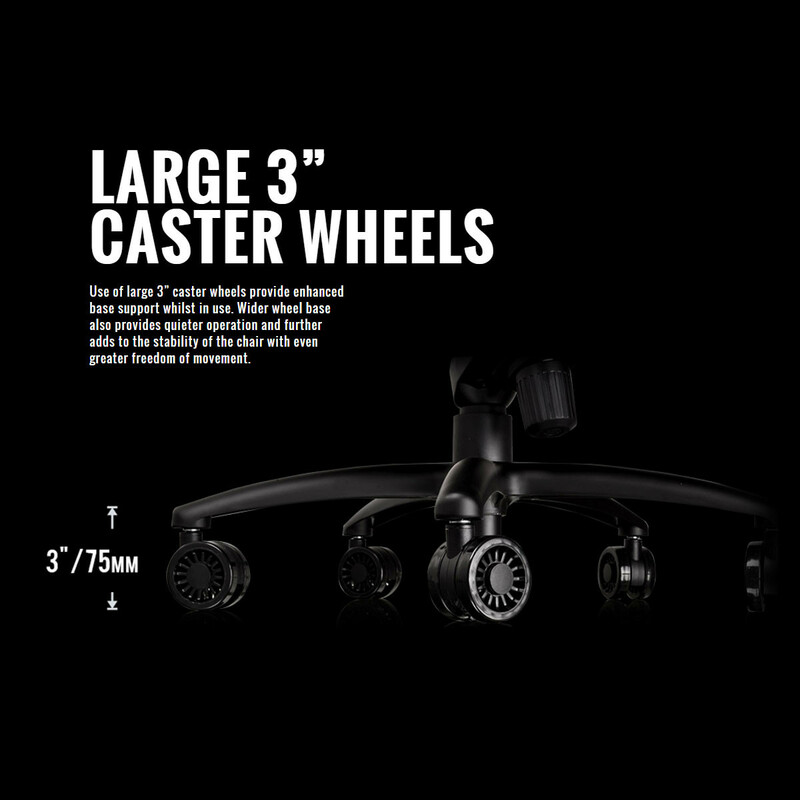 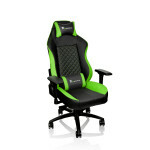 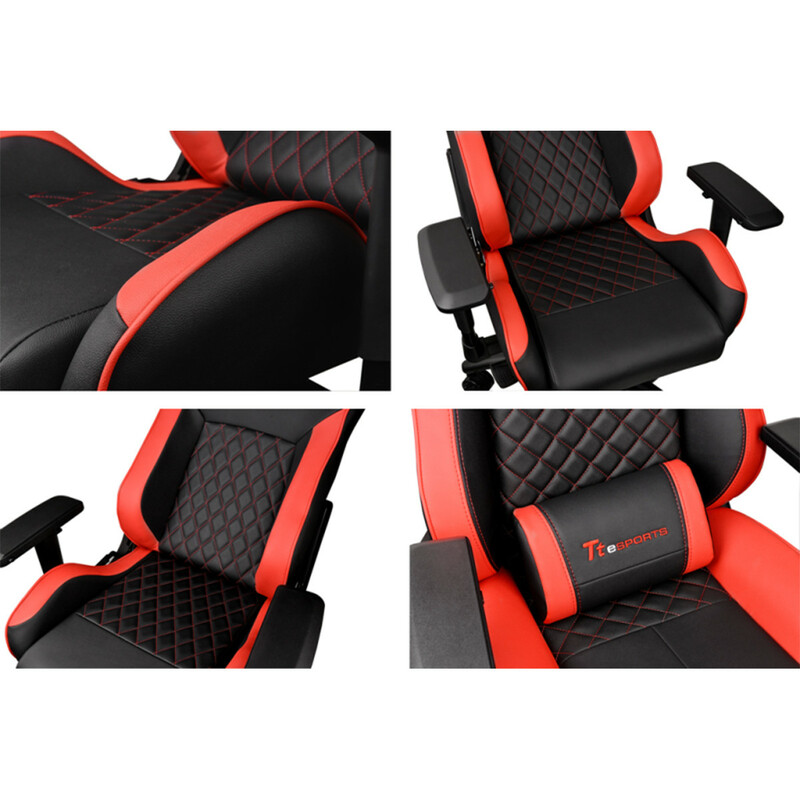 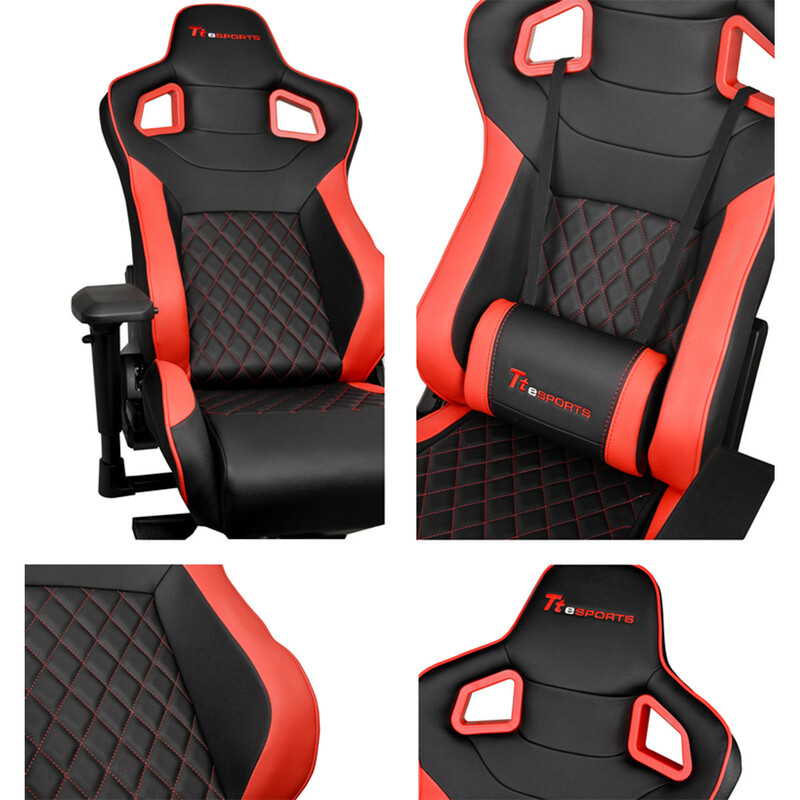 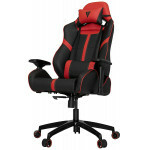 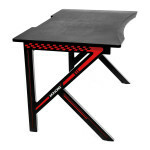 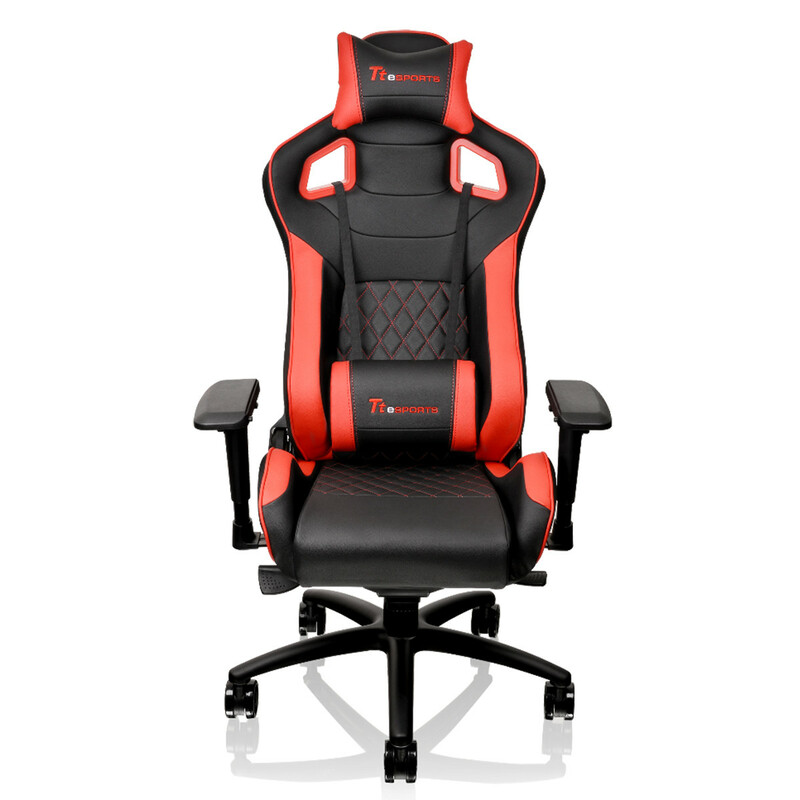 •Adjustable Back - Allows for effortless adjustment of back angle up to 160 degrees for optimal sitting position during general and gaming use. 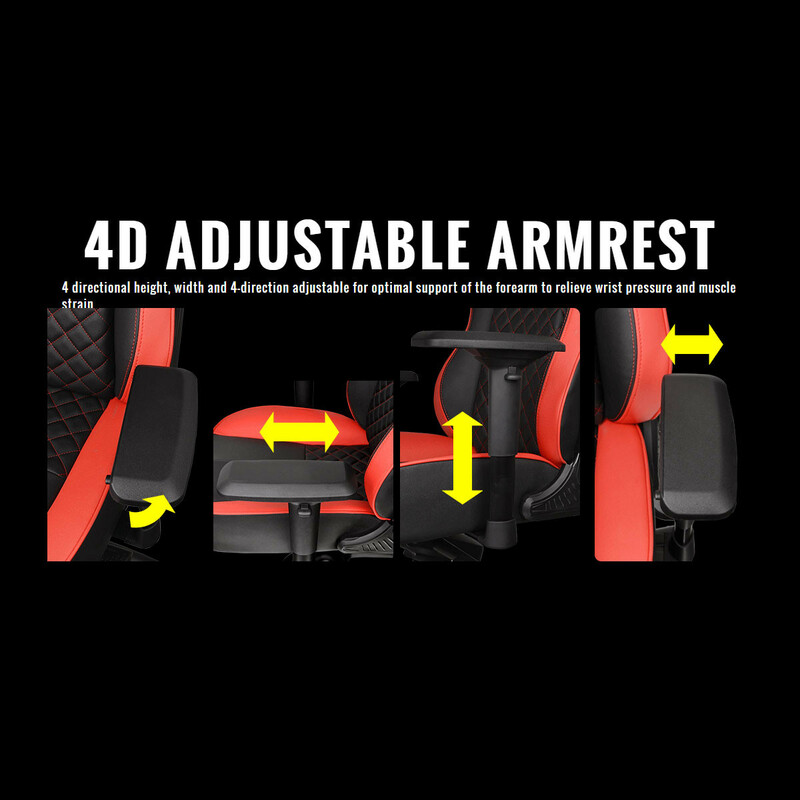 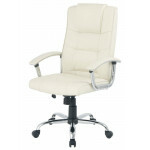 •4D Adjustable Armrest - 4 directional height, width and 4-direction adjustable for optimal support of the forearm to relieve wrist pressure and muscle strain.